Good morning, my dear friends! Cold weather calls for soups and nice comfort food. Latey I have a crush on chickpeas and keep cooking them in new ways. They are so yummy, filling and healthy. My last experiment was this salad. It was a hit! The whole family loved it. You can pulse it and make a spread. It is also fantastic! Happy new week everyone! In a blender pulse all the sauce ingredients. Add water if you want it thinner. 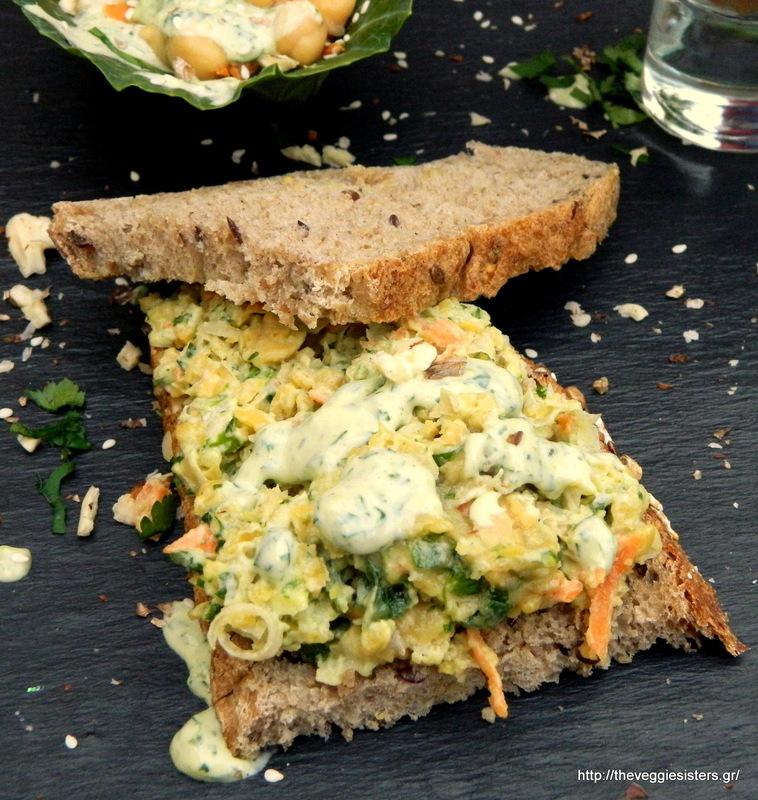 In a bowl combine chickpeas with carrot, onion, fennel. Add sauce and stir to combine. 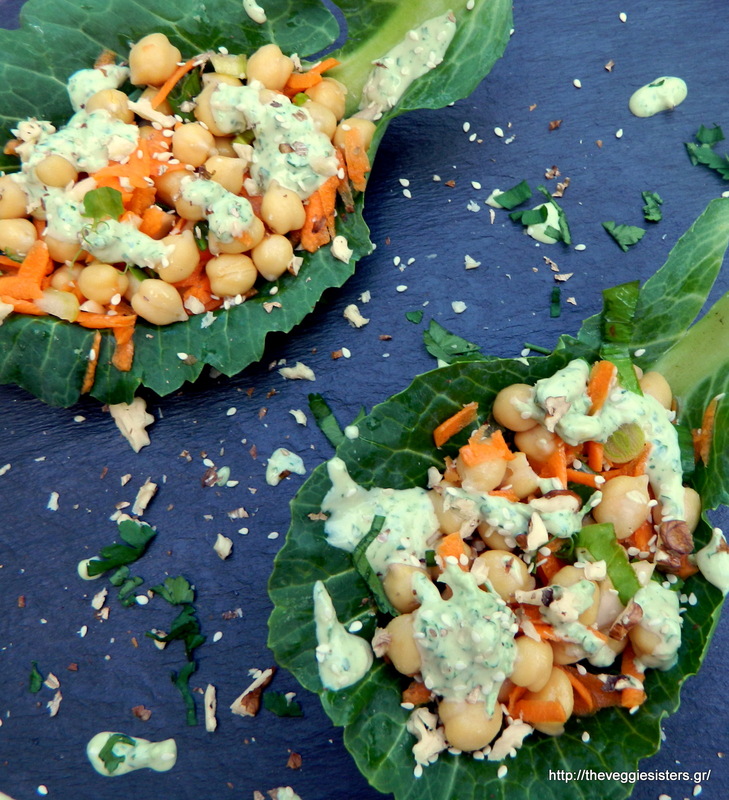 Serve on lettuce leaves if you have it as a salad or you can pulse it in the blender and make a delicious spread! Enjoy! 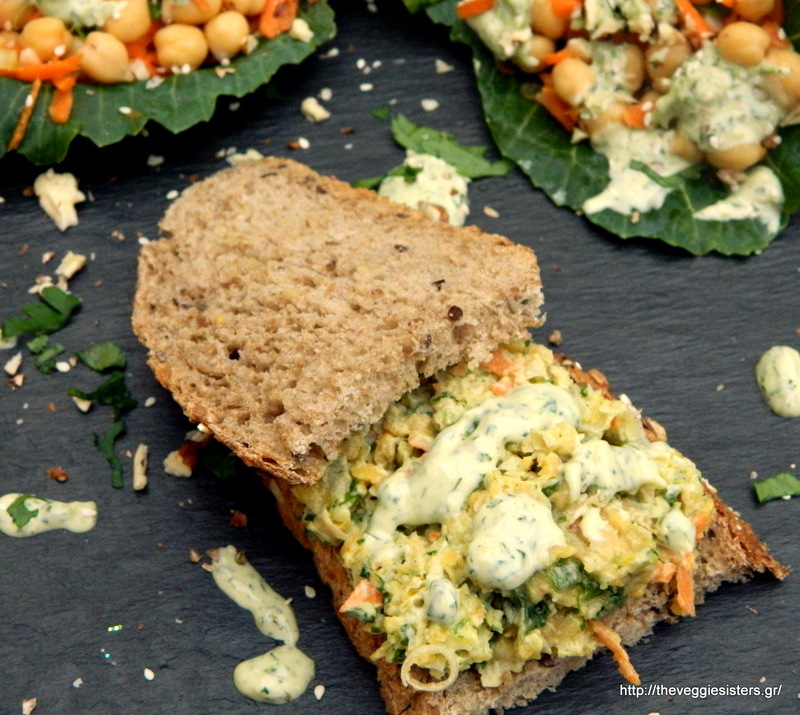 Share the post "Delicious chickpea salad or spread"